Showing results for tags 'virtualassistant'. Hannahdemers posted a topic in Introduce Yourself and Your Virtual Business! Hello! My name is Hannah and I've been working on getting a virtual assistant business together so I can work from home. I am needing to work from home due to my health. My ongoing illness has caused me to miss a lot of work and I had to leave my job in December. I finished schooling in March 2013 and got my diploma for Medical Assisting (MA). After being an MA/Receptionist at private practice for 18 months I have hired a urology office and then I was in hospice. I have about 6 years of experience in the medical field. Would it be possible for me to add in my medical field knowledge as a ”special” skill? If so, how much should that be? I was a surgery scheduler for two oncologists and I know they would've really benefited from having a virtual assistant. I am extremely passionate about helping others and have known all my life that I wanted a job where I helped those in need. I have many skills ranging from scheduling to order supplies. I'm also learning to code because I noticed that is requested sometimes. Thanks so much for your help! -Hannah D. P. S. I have no clue what my business name should be! Do you have any ideas that go with my first name, Hannah? BarbaraR_mvp posted a topic in Introduce Yourself and Your Virtual Business! Hello everyone, I will like to introduce myself, I'm from Venezuela, currently living in Colombia, been working homebased for almost 3 years now with its ups and downs, this last week I found out this great group wich has motivated me to keep going with my dreams and goals, and I hope to get to know all of you and share to you my experience and also that you can share me your feedbacks as well. 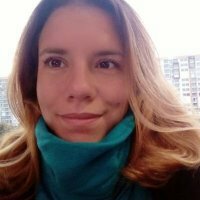 Hugs to all Bárbara R.
Dani83 posted a topic in Introduce Yourself and Your Virtual Business! Hi everyone! My name is Danielle and I'm from sunny Queensland in Australia. I'm a brand new VA (my website is still under construction) and I'm very excited about my new business venture. I'm a qualified nurse but working for a boss has never suited me so I decided to set something up for myself. I'm specialising in email/blog/social media management, general/medical transcription, online customer support, general admin and WordPress/landing page setup. I'm looking forward to corresponding with other VA's on this forum. DrewCasulla posted a topic in Introduce Yourself and Your Virtual Business!